Mulligans aren’t just for the golf course. It’s not that the Miami Design District was a bad shot, necessarily, but it’s getting a “do-over” to bring it from conventional to upscale and from artsy to retail. 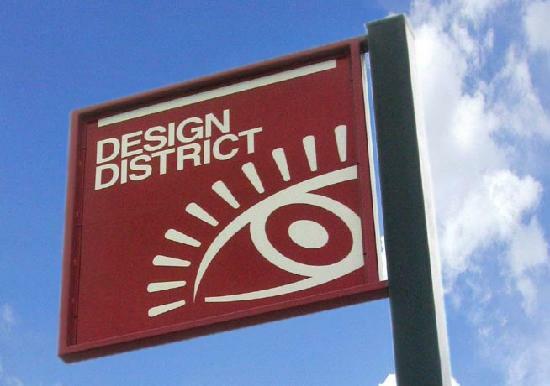 Developer Craig Robins is spending more than $300 million on the Design District facelift, demolishing some buildings, and adding over 500,000 square feet. The 30-foot wide pedestrian promenade will guide shoppers to cafes, boutiques and luxury department stores. The formerly commercial district will now boast a hotel and condos as well. With all of this is the promise of over 1,200 new jobs and a trendy place to shop or attend events. Miami Design District will still offer the opportunity to shop in the designer furniture showrooms and galleries, and the wonderful restaurants, clubs and bars, but now offers high-end clothing and specialty concerns as well. Late July saw Shokudo move into the Design District, serving what they call Asian “street food,” from an old bodega. Cartier moved into a 43,000 square foot space last month. Nest is set to open a 2,400-square-foot showroom this month, and South Street Restaurant & Bar (serving neo-soul food) is taking over the space once occupied by Sra. Martinez in late September, or thereabouts. In addition, Midtown condos is starting sales of Midtown 4 right across the street from the Design District. Some urban planners are claiming that this shopping revitalization project – bringing shopping out of the suburbs and back to the city -- is the wave of the future and we’ll see them popping up in urban cores across the country.